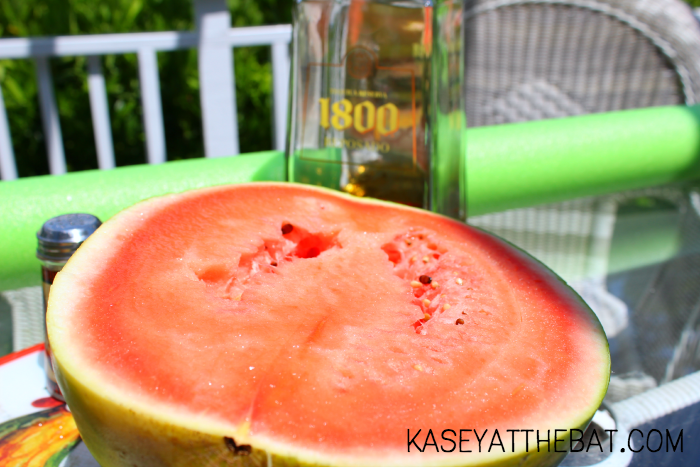 So, remember last week I showed you about the watermelon shot glasses? Remember how the video made it look all easy peasy lemon squeezey? Welp. My first clue should have been when I walked up to the giant bin of watermelons + thought "okay, so you *thump* it to see if it sounds "solid" to know if it's ripe" then I thought "wait. 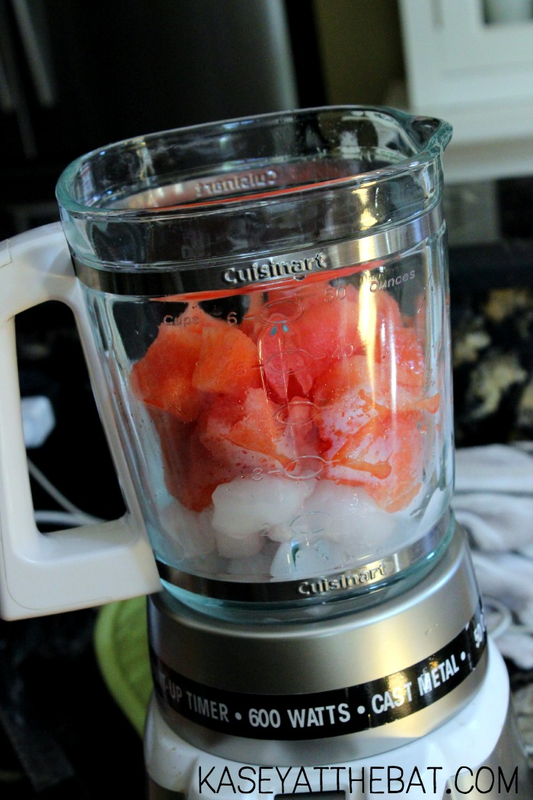 what the hell does a solid watermelon thump sound like?" that was a good start. Miracuoulsy, I picked a ripe one. Like. oh man, makes your mouth water to think about it ripe. Anyways. It started out great. I managed to cut only the watermelon, right down the middle! Simple enough, next step is to cut that half into a square! I can do that! I flipped it over, cut it into a nice square, then when I went to turn it back over to cut into the shot glasses, it fell apart. (remember what I said about how ripe it was? also, my pinterest projects have a habit of falling apart.....) Then I'm left with a bunch of oddly cut watermelon pieces + nothing to do with the tequila! ENTER A SOLUTION! Obviously margs are always my backup plan, since it was a zillion (err 85) degrees, I thought "hey, why not frozen ones?!" 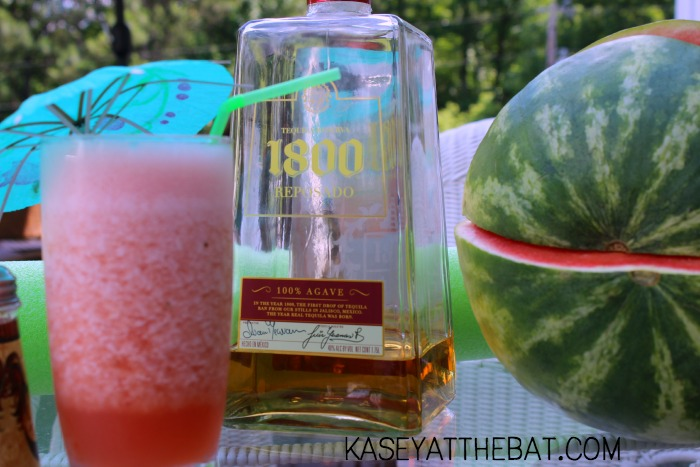 So I hunted down the blender, chopped up the watermelon, filled it up with ice, and you know, a hefty amount of tequila, and hit blend! Pour in a fancy glass until after your take the picture, add an umbrella, and enjoy!! You know what they say, when life gives you lemons, make margaritas! (wait, that's not right is it?) Well, there you have it! 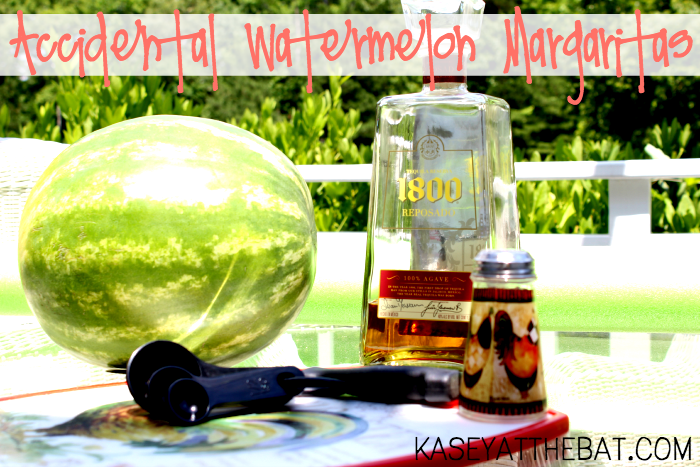 A pinterest fail turned tasty margarita for a nice sunday funday by the pool with an old book. What are you sippin' on?